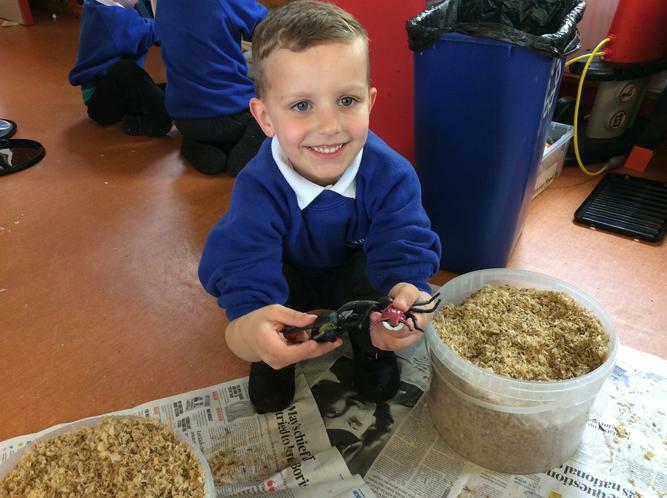 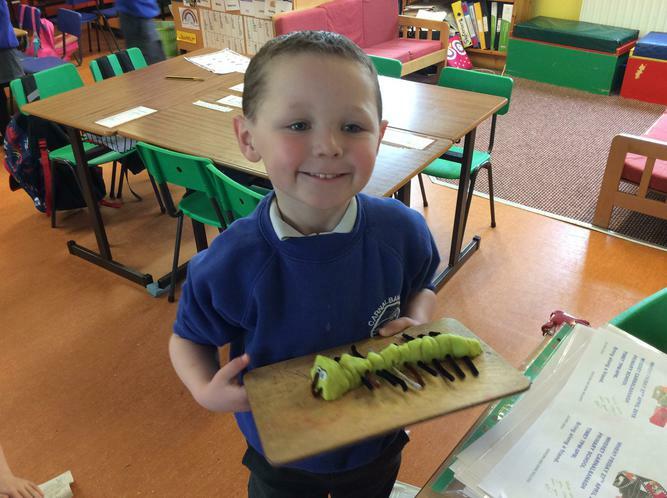 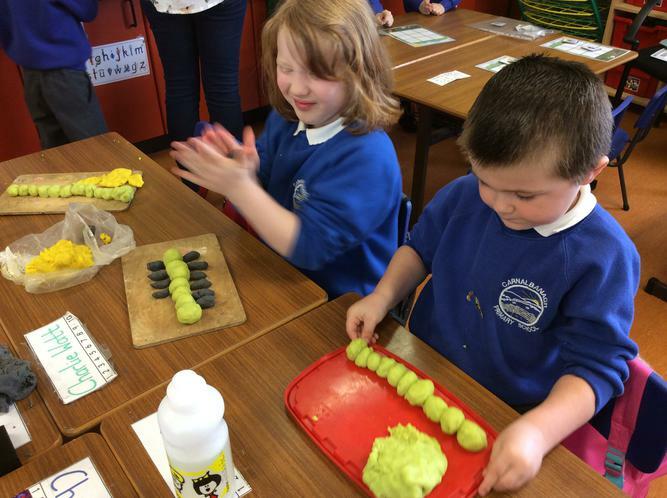 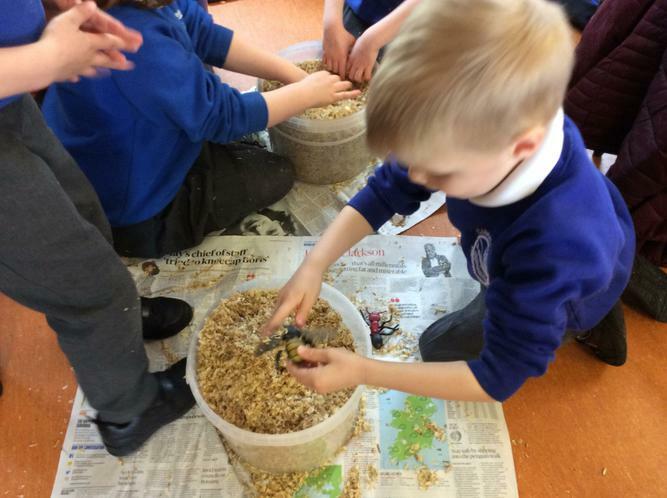 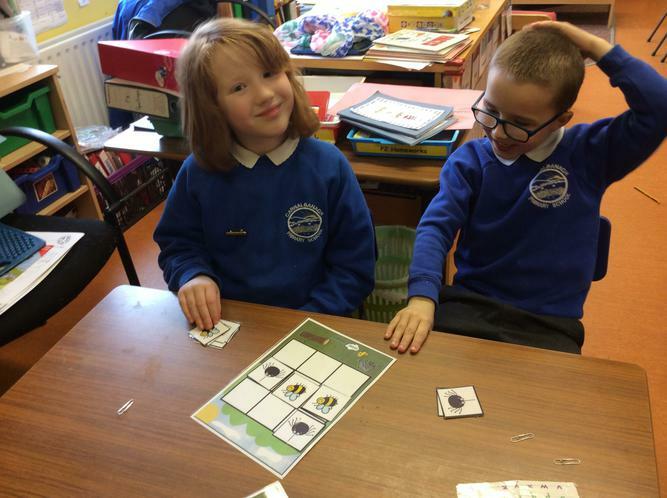 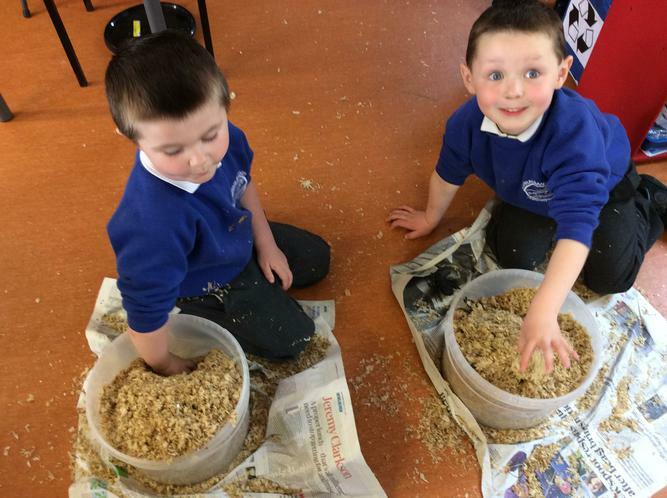 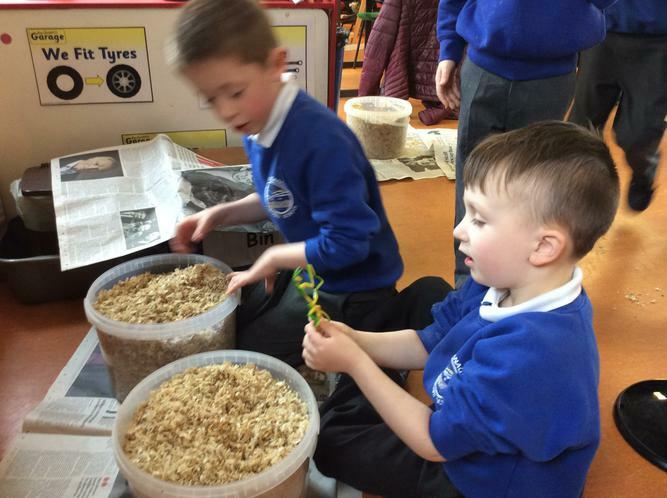 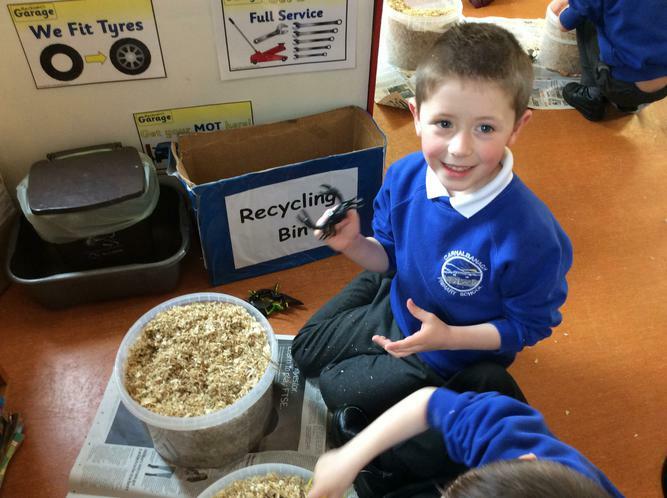 Stay to Play: Mini Beasts Activity. 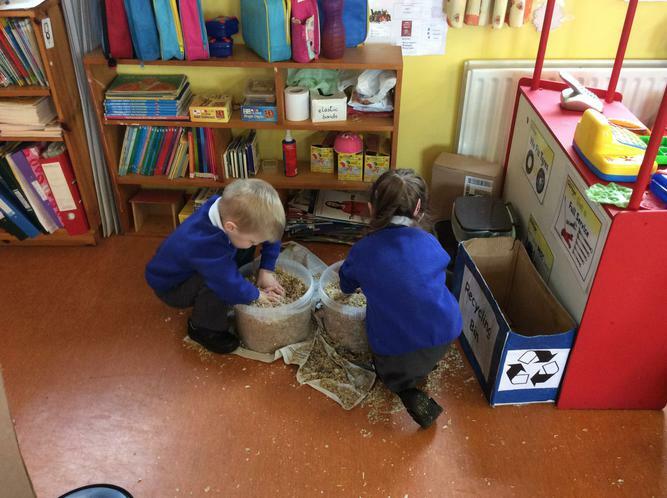 Week 1. 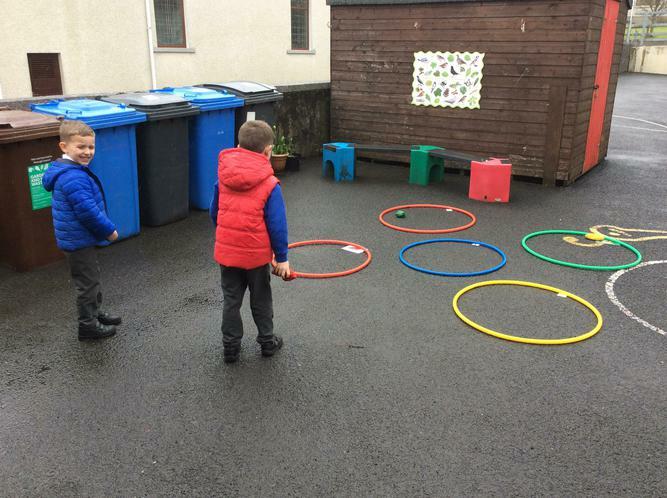 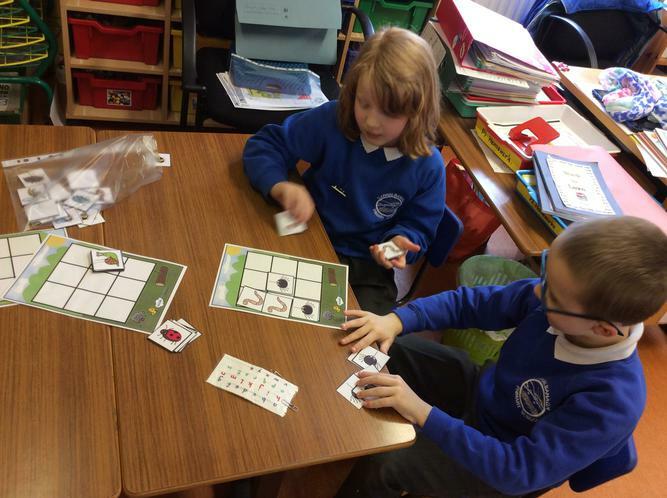 On Monday 23rd April our STAY TO PLAY after school club began for our P1-P3 pupils. 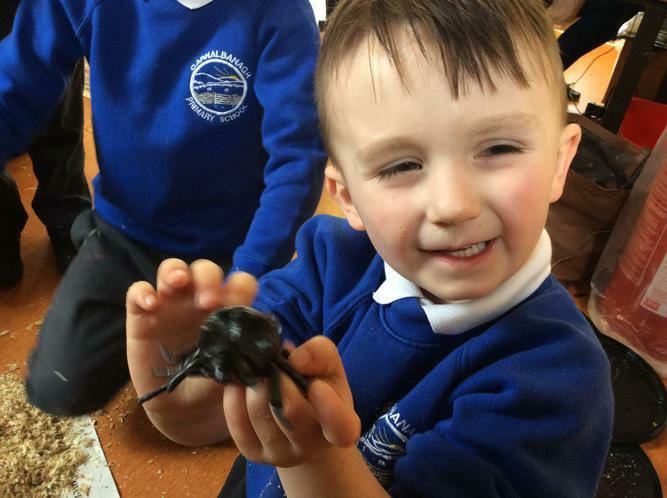 The topic being covered at this session was MINI BEASTS. 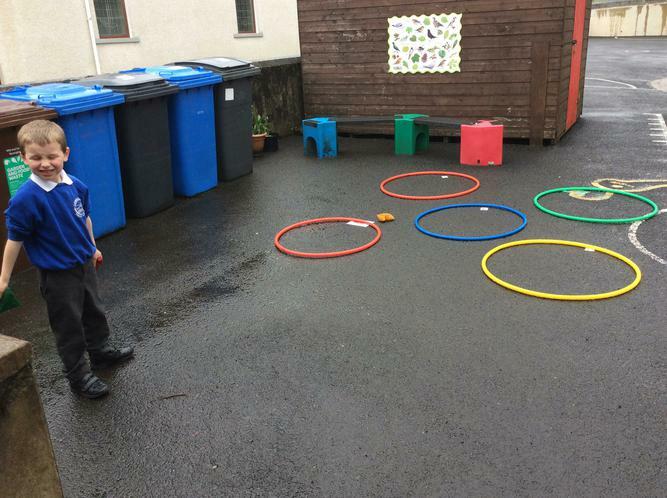 The children thoroughly enjoyed searching outside, under plant pots and in any dark, damp places that they could think of in search of any mini beasts. 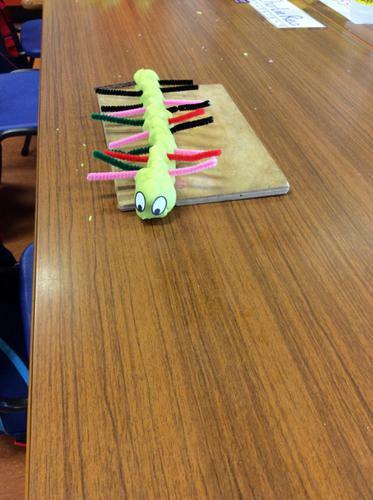 Once we had done this we headed back into the classroom to a selection of mini beasts related activities. 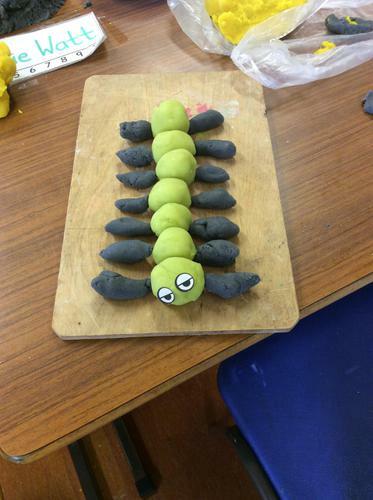 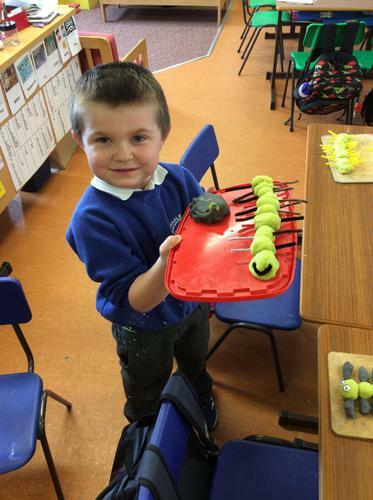 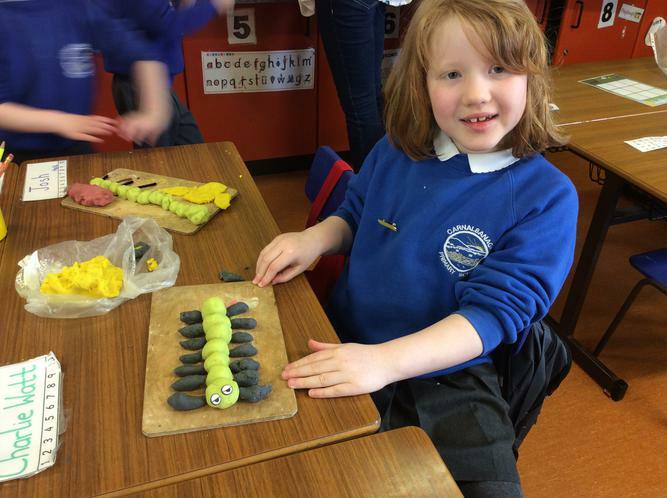 The children had the opportunity to make caterpillars out of play dough, play a game of 3 in a row using pictures of different insects, searching for mini beasts that were hidden in large containers and then they would hide them again for a friend to find! 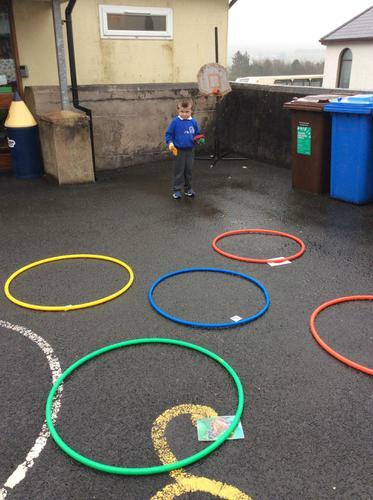 There was an outside activity which consisted of a hoop containing a picture of a mini beast, where the children would throw beanbags into the hoop to build up points, rounded up with a sing song of "THERE'S A WORM AT THE BOTTOM OF THE GARDEN..."
It was safe to say that all the children had a fantastic afternoon, and we look forward to seeing them all again next week for their second activity session. 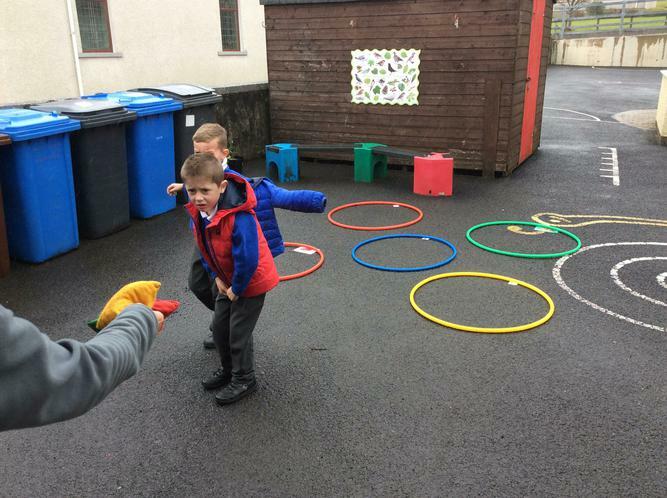 DATE OF NEXT STAY TO PLAY: Monday 30th April 2018.